Dallah Health Company was founded in 1995 as a specialized company in the provision and operation of healthcare programs and utilities, and has grown to become a leader in supporting societies. DHC’s investments include hospitals, the production of medical supplies, and the operation of healthcare facilities. It plays a leading role in the manufacturing and distribution of herbal medicines through Dallah Pharma Company, which operates in incorporation with multiple international pharmaceutical companies including B-Tabs (South Africa), Ethnofarm (Canada), Herbadal (USA), Borner (Germany), Bourne (France), and Biossidas (Argentina). DHC aims to support all aspects of healthy lifestyle by providing and operating healthcare products and projects locally and worldwide. Its scope of work includes manpower development in the healthcare field, the provision of world standards in medical services, medical research and supplies, and sound investments in the healthcare industry. DHC focuses on diversity in human protection against uncertainties, guaranteed security and respect for life. With more than 2,000 employees, Dallah Health Company owns and operates Dallah Hospital in Riyadh; treating more than half a million patients annually. Dallah Health Company is unique in being the first private centre licensed by the Saudi Ministry of Health to treat Infertility patients, and the first Specialized ER (Accident & Emergency) department in Riyadh. 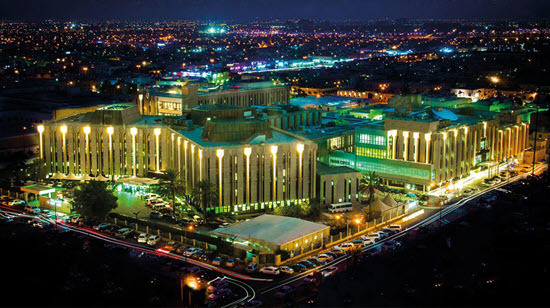 Moreover, it was the first privately-owned specialized centre for heart surgery in Riyadh. In human resource development field, DHC is the only approved private training centre for Obstetrics/gynaecology by the Saudi Council for Health Specialities. Our mission is to deliver excellent healthcare services which are consistent with our values and with the expectation of our patients, society, and partners. We aim to be the leading private healthcare provider in our region. Care and respect for our patients and their needs. A commitment to professional ethics. A commitment to excellence in delivering healthcare. To serve and to respect our society.